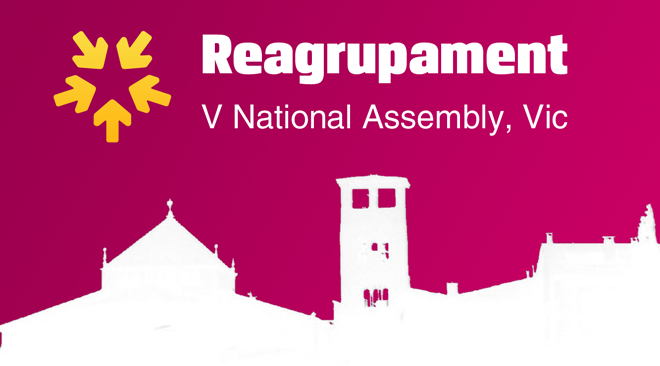 Reagrupament V National Assembly will be held on October 21 2012, in the city of Vic (Osona) at the Edifici el Sucre (Historiador Ramon Abadal i Vinyals 5, 08500 Vic) from 09:00 to 13:00. The plenary session will start at 10:00. Accreditations to participate in the National Assembly can be formalized from 09:00 to 11:30 at the assembly venue. 2. – Report of the President. 6. – Presidential Closing Speech.